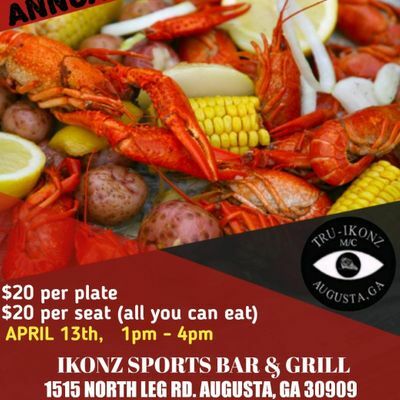 CRAWFISH SEASON IS SLOW IN "DA BOOT" BUT THE TRU IKONZ 2nd ANNUAL CRAWFISH BOIL IS COMING SO GET READY. PLATES or SIT-DOWNS $20 STRAIGHT UP. WE DOING THIS THING LIKE NO OTHER. 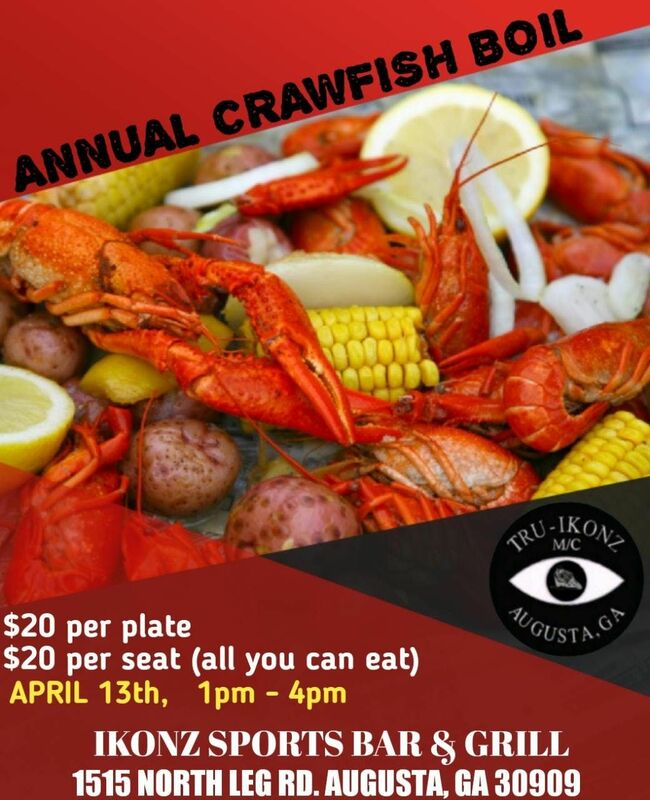 THERE WILL ALSO BE $5 DEEP FRIED HOT DOGS AND FRIES PLATES FOR THOSE THAT WANT TO STAY CONVENTIONAL SO, COME AND GET IT WHILE IT LAST. ***** REMEMBER COME EARLY BECAUSE ONCE THEY'RE GONE, THEY'RE GONE UNTIL NEXT YEAR.